I have a great box for you to check out today. 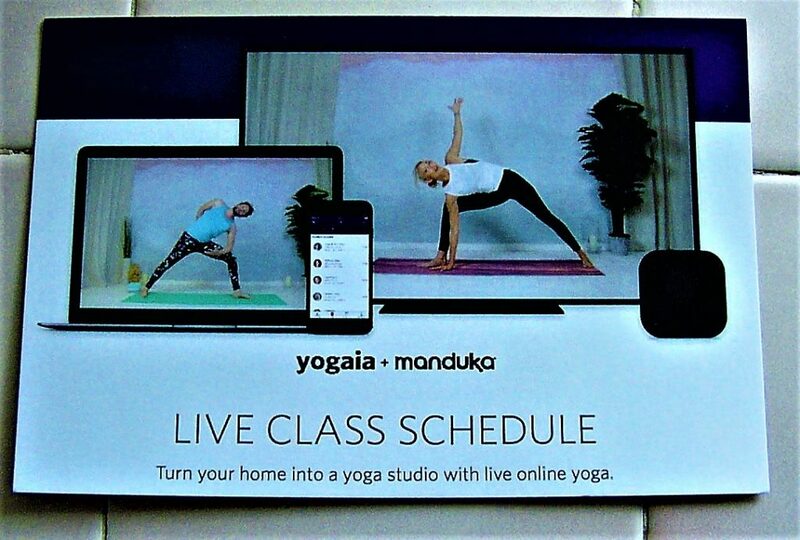 If you are a yoga instructor like I am, or you are interested in becoming one, then this box is for you! The box is called Yogabossbabe, and it brings yoga instructors learning materials each month, as well as inspirational books and other items to help your yoga practice. The owner of the box, Elizabeth, it just a sweetheart, and she puts her heart and soul into this box. Enjoy! A monthly lifestyle subscription box for passionate and motivated yoga instructors who want to build and grow their yoga business. And a chance to meet a Yogabossbabe in the community and learn from her journey. Use Code “THEBOXREVIEWERS” for $5 off of Your First Box! I was so excited to receive this box because I am a yoga teacher myself, and I am always looking for further education! 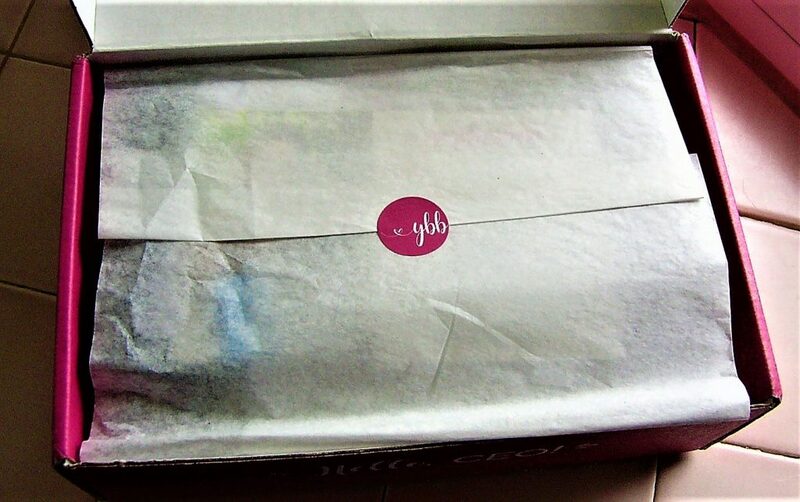 Yogabossbabe is the first box of its kind, and it is much needed. 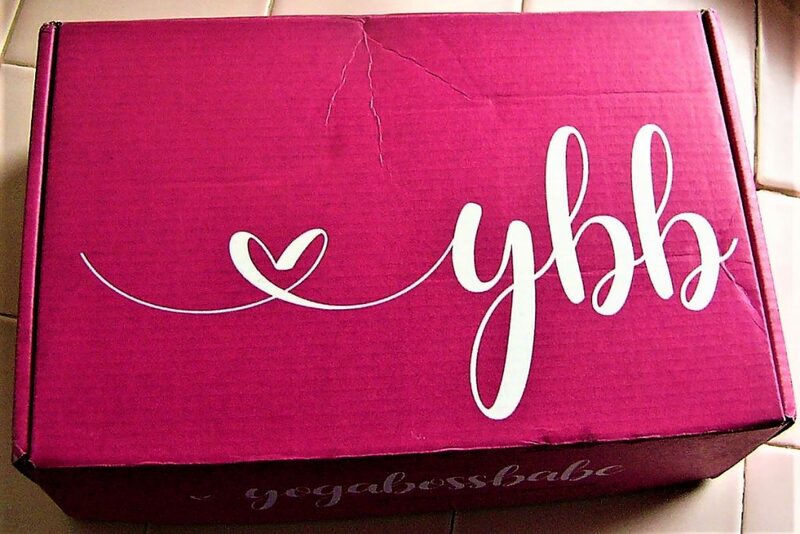 Yogabossbabe comes in an adorable, personalized box. I love the pink color, and how much the box pops on my doorstep! 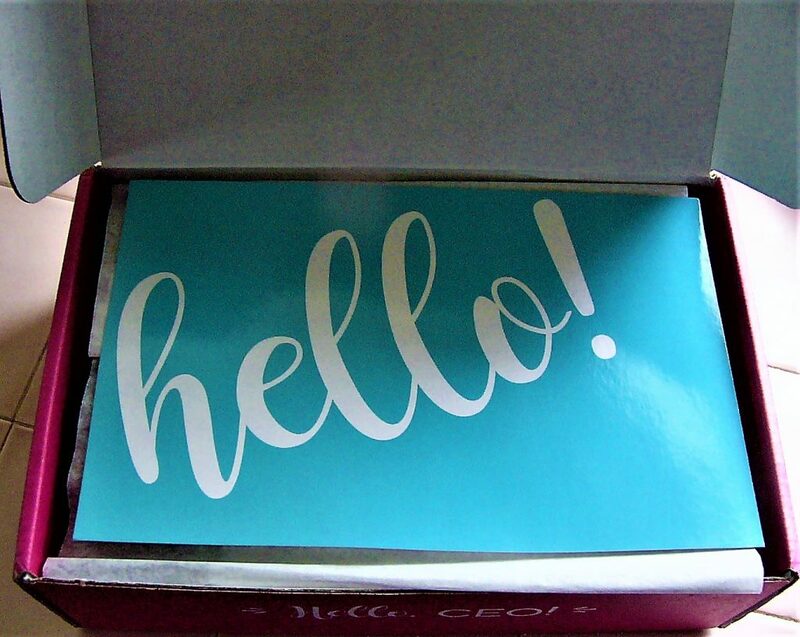 Upon opening the box, a lovely “hello” message greets you! The packaging is unique to the box, and it enhances that surprise element! The box comes with an item list, and each item includes a short description as to why it was included. The care of explaining each item really resonates with me! 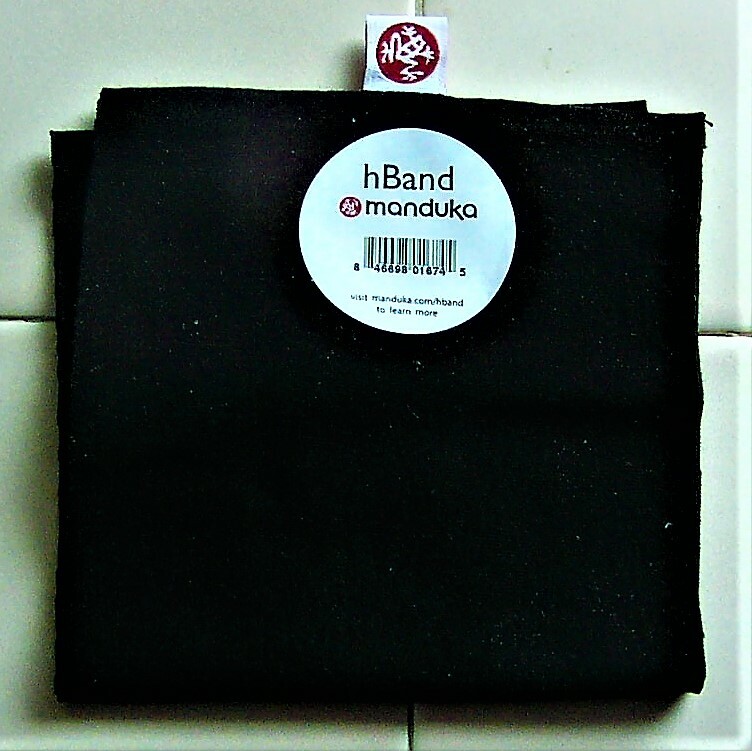 The first item is a headband from Manduka! This headband is wide and it is perfect for holding your hair back or using as a sweat towel. 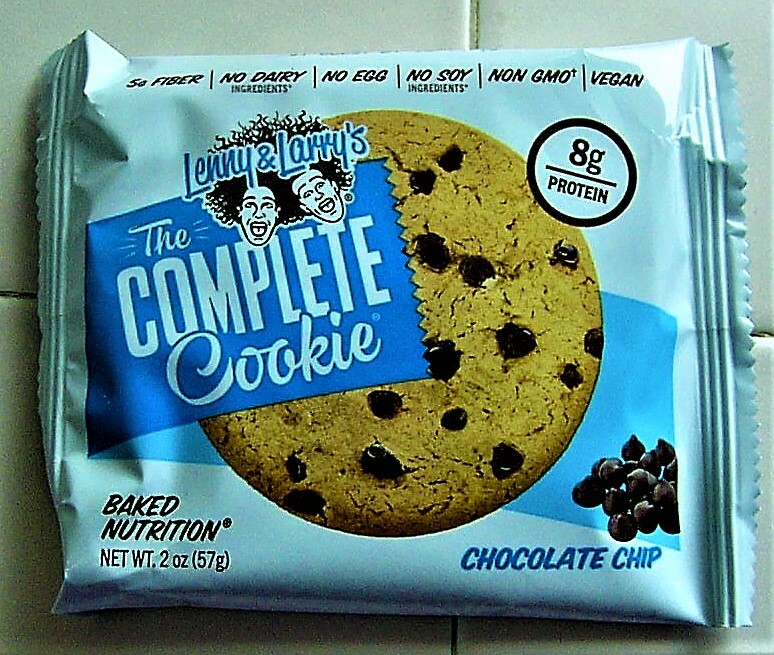 The next item is a Complete Cookie from Lenny & Larry’s! This cookie is filled with wholesome ingredients, and it looks delicious. Even though I can’t eat it because I am gluten free, I will be giving it to my boyfriend! The next items go together! 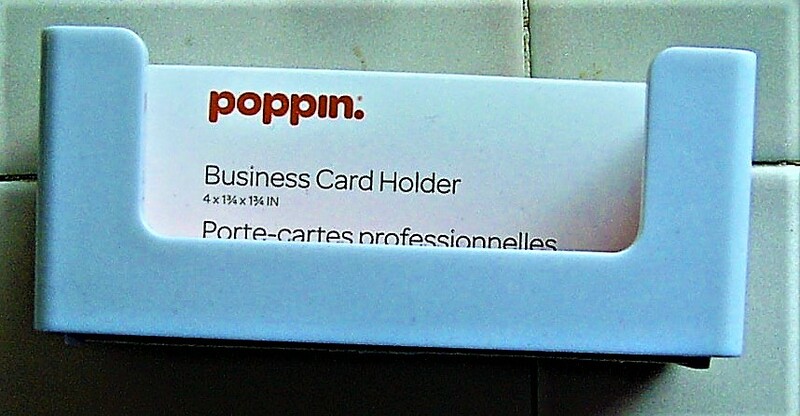 The first item is a business card holder from Poppin, and the second is a coupon for 100 personalized business cards. 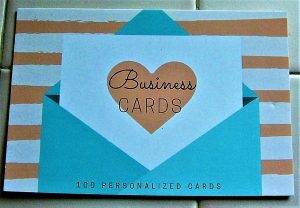 The coupon gives you 100 personalized business cards as part of the box, so that is an awesome perk! The next item is something that I desperately need! It is a bottle of Mat Wash from Manduka, and it helps you to clean your mat with a lovely lavender scent. I have already used this after one of my classes, and I was very impressed! 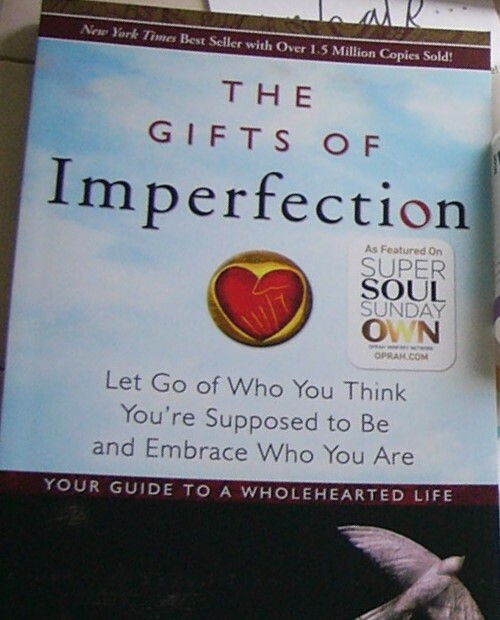 The next item is a book called The Gifts of Imperfection by Brene Brown! I am a huge fan of Brene, and we use her work frequently in my profession as a social worker. This is a great book to help yoga instructors connect with their true selves. Each month, Yogabossbabe features a different yoga instructor, and October’s feature was on Amanda Kingsmith! 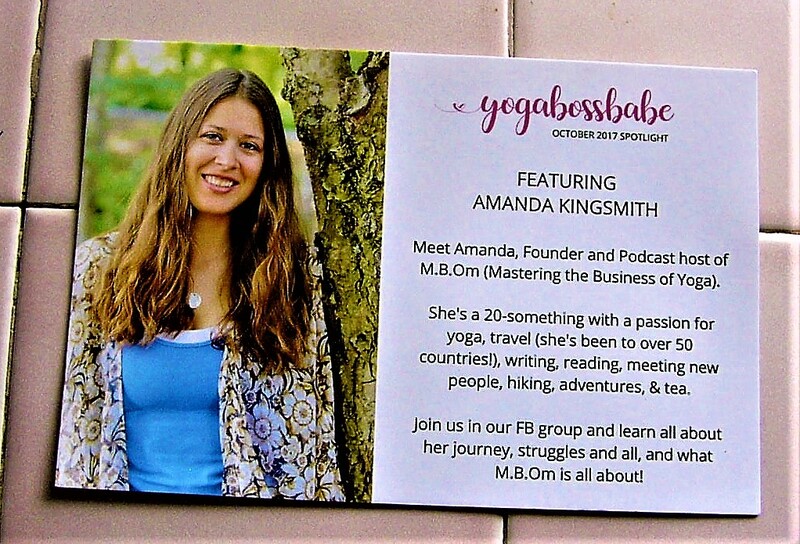 Yogabossbabe has their own Facebook group, and Amanda appeared in the group in October to talk with subscribers. 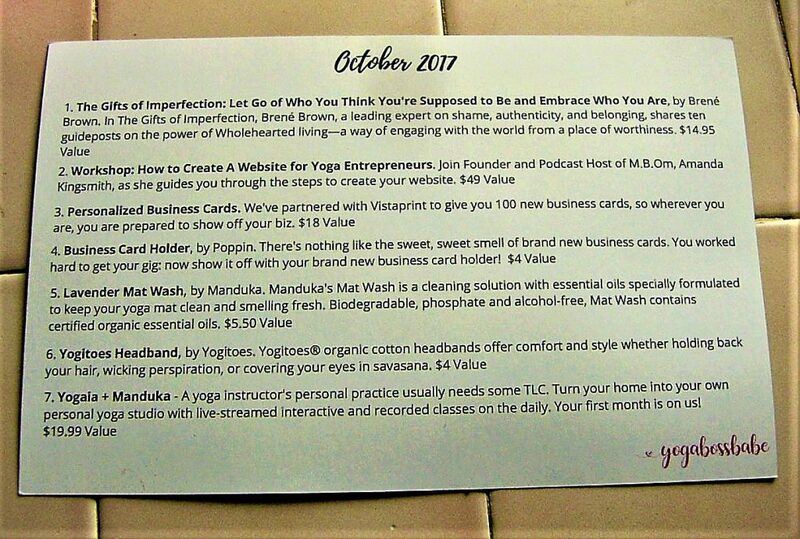 Amanda Kingsmith also created a workshop on creating a website for yoga entrepreneurs, and subscribers get the workshop for free! I will definitely be using this since having a website is essential for business. The last item is a free month on Yogaia + Manduka! This website features live yoga classes, as well as classes that are available anytime. The instructors featured are from around the world, and this is a great way for instructors to learn new skills! Final Thought: Yogabossbabe is an excellent resource for yoga instructors. Not only does the box bring you items to help you grow your practice, it brings you items to help take care of yourself as well! I love the community that surrounds the box, and how immersive the box is. 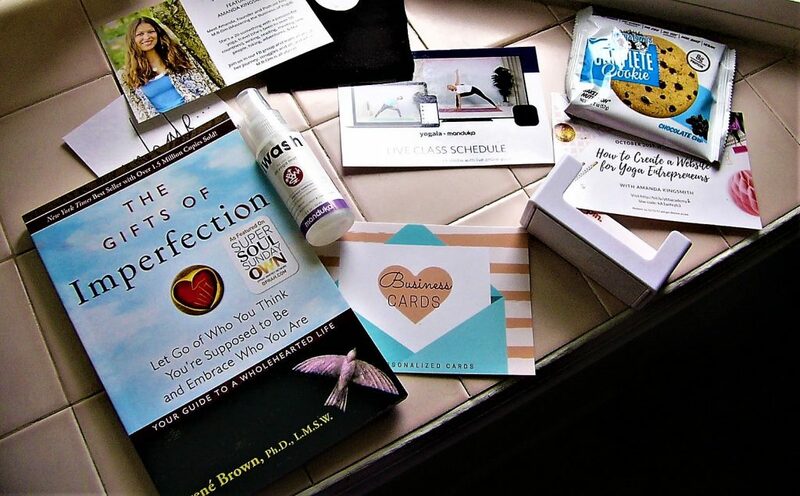 Yogabossbabe doesn’t feel like a box to me, it feels like an educational experience, and I adore that. 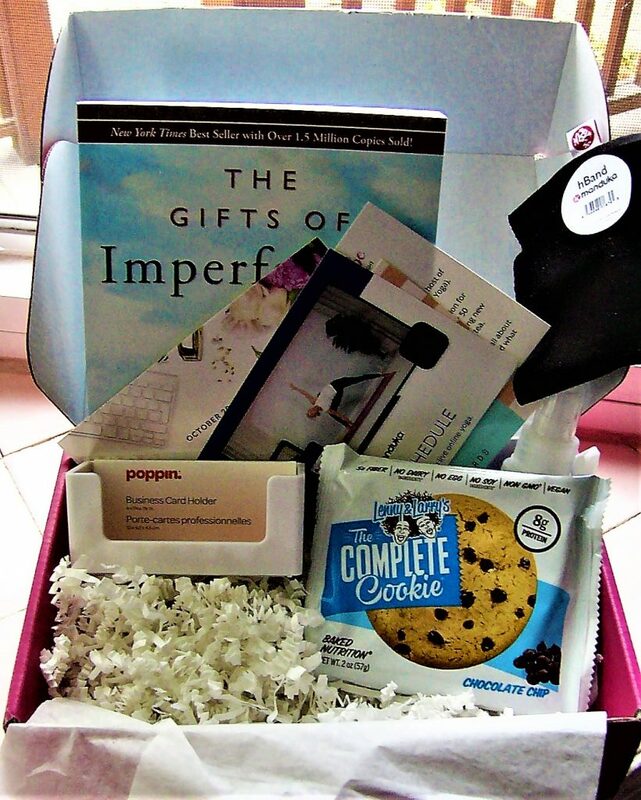 If you are a yoga instructor or looking to become one, you won’t want to miss this box!